This IHS Christogram design is from the Embroidery Pattern Catalogue, a publication offering iron-on embroidery transfers that was published in the mid to late 1800s by the Thomas Brown & Sons company of Manchester, England. 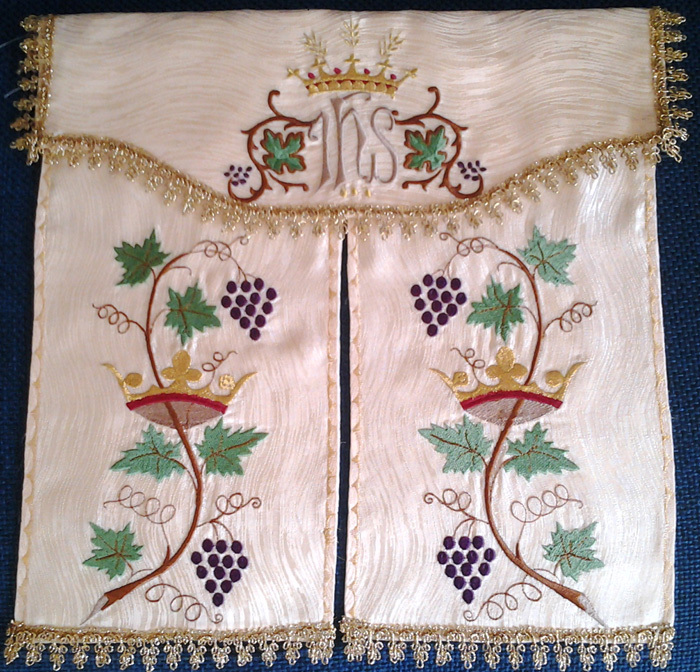 Many of those traditional Christian patterns were hand drawn reproductions of designs from the 13th and 14th centuries and were created specifically for embroidery on vestments and other church linens. Wheat represents prosperity and fruitfulness. Cross & Crown symbolizes the reward in heaven. Grapes represent the fruitfulness of Christian life. A lovely Christogram in the center. 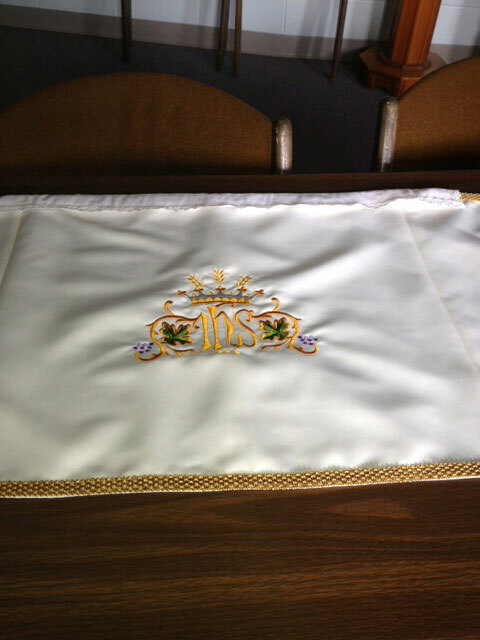 The sewn out size is 6.38" W x 4.92" H with 22,710 stitches.